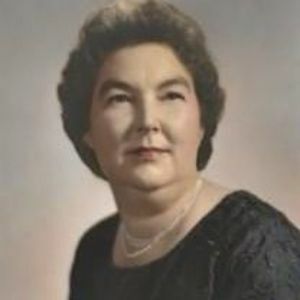 Louise Dozier Lancaster, age 93, of Rocky Mount, passed away Sunday, August 16, 2015 due to complications of a broken hip incurred on June 30, 2015. She was born in Nash County on March 19, 1922, the daughter of the late Leland and Pearl Boone Dozier. In 1942, she married James David Lancaster, Sr. and moved to the Temperance Hall Community in Edgecombe County. He preceded her in death in 1986. Louise is survived by her daughter, Nancy Joyner and husband, Donald of West Mount; her son, James David Lancaster, Jr. (Jimmy) and his wife, Jenny of Rocky Mount; her granddaughter, Donna Pulliam and her husband, Mack of Rocky Mount; her grandson, Ben Lancaster and his wife, Amy of Fayetteville, one great-grandson, Hunter Pulliam of Rocky Mount; her sister-in-law, Mae Lancaster of Temperance Hall; and several beloved nieces and nephews. The disease that clouded her mind for the past several years will never diminish our memory of the kind, gracious, and humble woman she was. The family will receive friends and relatives on Tuesday, August 18, 2015 from 6:30 PM until 8:00 PM at Johnson Funerals and Cremations, 661 English Road, Rocky Mount, NC 27804. A graveside service will be held on Wednesday, August 19, 2015 at 11:00 AM at Pineview Cemetery, 761 N. Raleigh Street, Rocky Mount, NC. Flowers will be accepted at Johnson Funerals and Cremations or memorials may be sent to Temperance Hall United Methodist Church at 3834 Temperance Hall Road, Pinetops, NC 27864.